1. 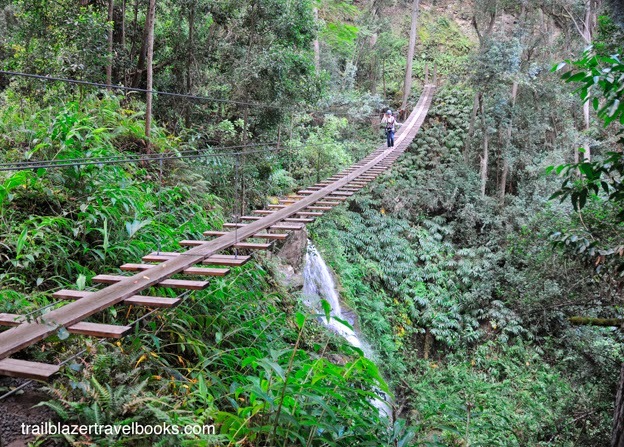 Travel during non-peak seasons, which are Fall and Spring (after Spring break). 2. Book 6 to 8 months in advance---or book at the last minute. Resorts don't want to see rooms go vacant. 3. Get a room with a kitchenette and eat fewer meals in restaurants. Apply the money you save to your room. 4. Get a room with a garden or mountain view, rather than ocean (for extreme skimpers only). 5. If you have friends or relatives you can stand, book a place together. Half the cost of a larger unit will be far cheaper than all the cost of a smaller. 6. The longer you stay, the less you pay. For this to work, you need to stay three weeks or longer. 7. Once you make a booking, don't confirm for a day or so, long enough to see if changing the dates a day or two either way will save money on airline reservations. 8. Without being rude, ask if you are getting the lowest rate ("is this the best you can do? 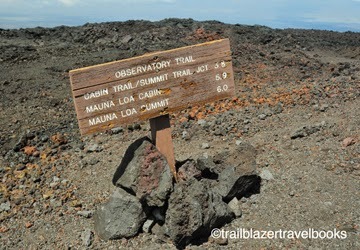 "), or if there are any lower rates available - hotel/corporate club rewards points, bankcard/AmEx/airline rewards, etc. Compare rates offered on Hotels.com and let them know you found a lower rate. Can they beat or match it? 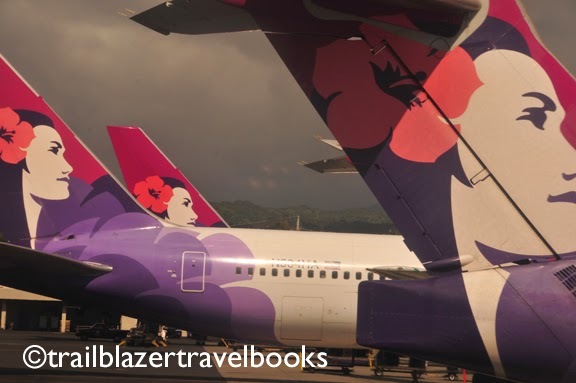 This isn't really a money-saving tip, but it is always a good idea to call the resort that you plan to visit beforehand to check out the "aloha factor" over the phone. If you get a harried customer service rep on the Mainland or India, you may not be in for the best experience in Hawaii. On the other hand, talking to a person in Hawaii will let you know much about the warm welcome you will receive as a guest. Normally, desk people in Hawaii are very friendly and are happy to answer questions. If you get a room in Hawaii that is dissappointing to you, feel free to politely inform the desk. They will take care of you in almost all cases. 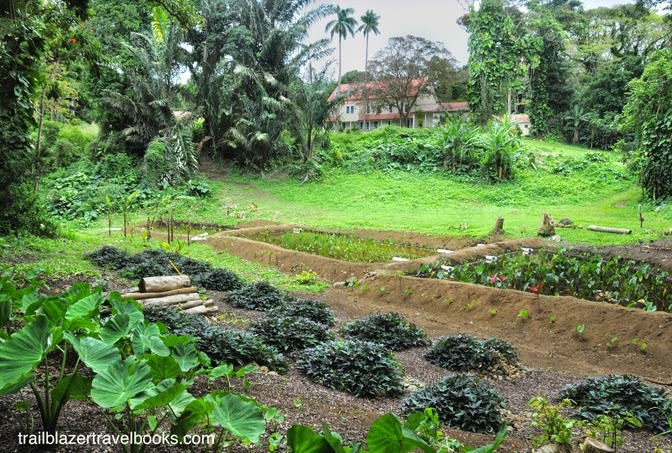 For more island insider info, read the No Worries Hawaii planning guide. In 2006, the wahines arrived, holding the first ever professional event on the women's tour at Pipeline—and they've been rolling with the wave ever since. Pipe breaks both left and right (the back door) and produces those triumphant moments when surfers, hidden in the barrel for a moment, spit out in the spray and slice toward shore. Or not. The curl routinely claims even the best and is a notorious board-breaker. The Pipeline Women's Pro 2013 is hitting again now through March 22. The event will feature an Open division, as well as a Bodyboard, Longboard, Junior Pro Women and Men categories. Some surfers will be competing in all divisions and the best athlete wins the gold ring. Defending champion Bianca Valiente will try to reconquer the title. 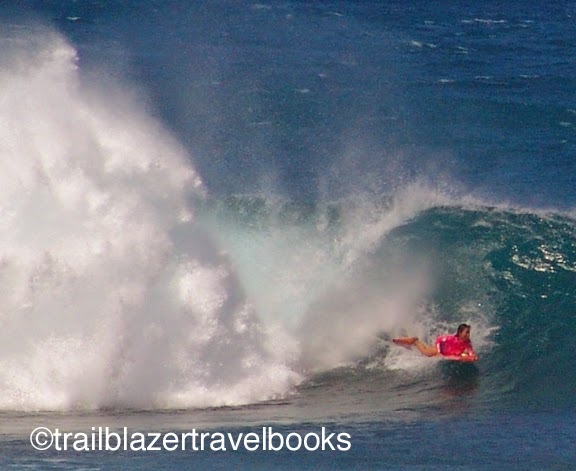 For all the action on North Shore Oahu, consult your Oahu Trailblazer guidebook. The Big Island isn't known for surfing, but when an east swell rolls into Isaac Hale Beach Park in Puna, the waves get covered with shortboards. 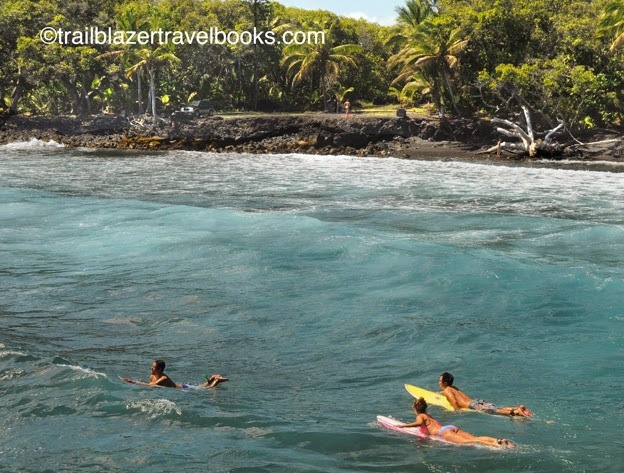 The break is mostly left, off the breakwater that creates a boat ramp into little Pohoiki Bay. The concrete-and-rip-rap structure is also the spot to sunbathe an spectate. You get a view right down the barrels. The beach park is also known for a small natural warm pool that lies at the backshore in the middle of the bay. Surfers also like the reefy break called Bowls, which is off the park's picnic tables. 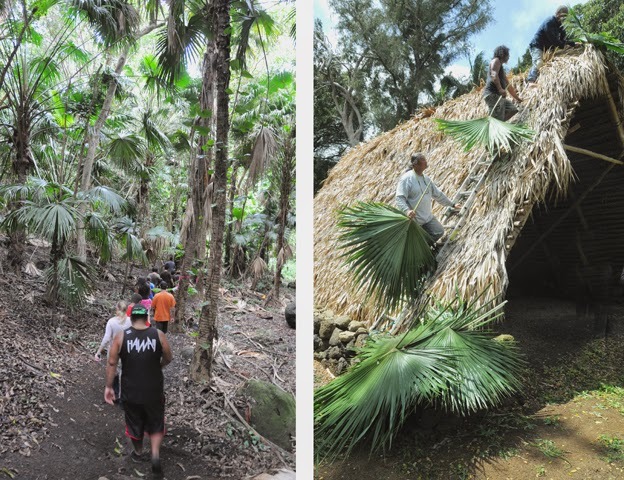 The scene really amps up on weekends at Isaac Hale (HA-lay), when teens and families come down from all over Puna (the east quadrant of the Big Island) and Hilo. About a mile away is Ahalanui Pond, a county park with a huge man-enhanced seaside pool that features water geothermally heated to 90-degrees-plus. 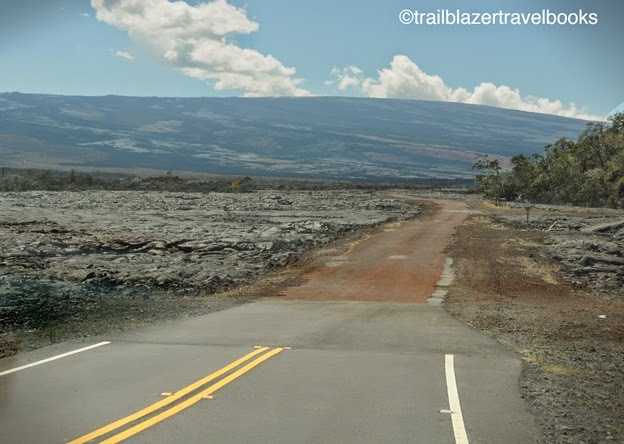 BTW: Pohoiki Boat ramp is where people leave for lava-viewing boat tours these days, since the viewing site shifted a couple years back from Hawaii Volcanoes National Park, to Kalapana Bay in Puna. 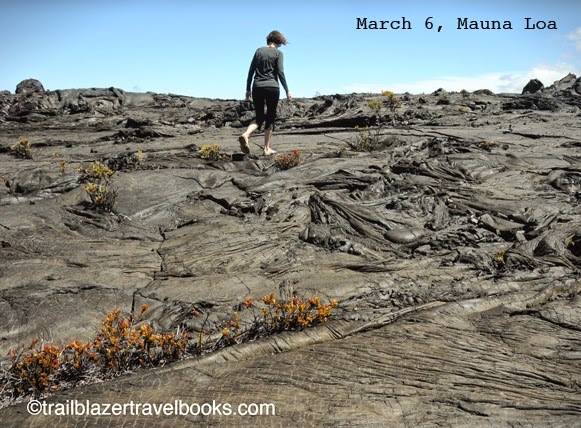 You can also walk to the lava flows; Hawaii the Big Island Trailblazer has details.